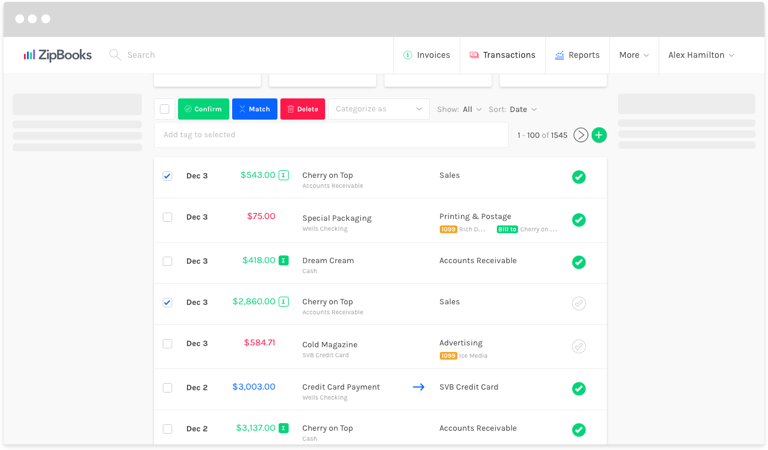 How do I bulk categorize transactions? If applicable, click on the account you’d like to see transactions from. 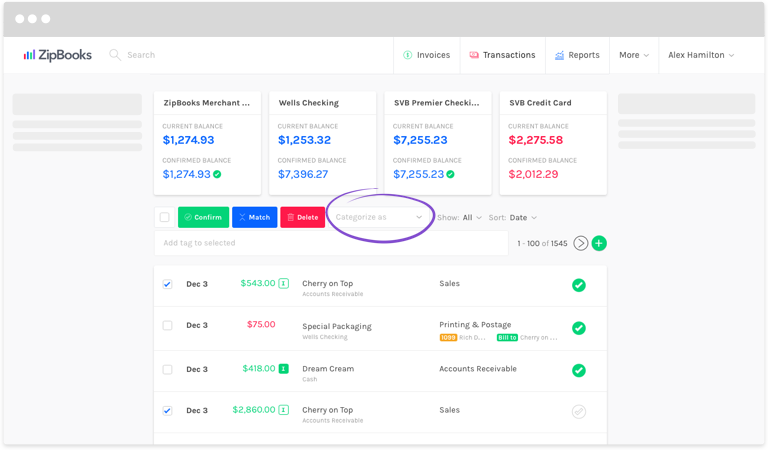 Click the small box on the left side of the line to put a checkmark beside each transaction that will be grouped into the same category. At the top of the list of transactions, you’ll see a Categorize As field next to the red Delete button. Click inside it, and either type the name of the category, or find in the drop down list and click on it. You’ll receive a prompt, asking if you’d really like to categorize these transactions as you designated. Click the blue button to move forward. And that’s it! Repeat these steps to categorize each group of transactions until they’re all accurate.